Advancing your education often requires you to take costly national tests. Students can be reimbursed all required (mandatory) fees charged for national admission tests, national tests for college credit, and national tests that evaluate prior learning and knowledge and provide an opportunity for credit at an institution of higher learning (IHL). Get more information or see if a test is approved. You do not normally have to submit a receipt or proof of payment for the test. However, in these situations, proof of payment is necessary: DSST tests and in certain situations related to CLEP, MAT, and PCAT tests. Mail the documentation to the regional office that handles your claim or use the Ask a Question section of our website to send us the information required and attach copies of any required documents. First apply for GI Bill benefits. Complete a VA Form 22-0810 (Application for Reimbursement of National Exam Fee). How Is Your Entitlement Charged? For information on how your GI Bill entitlement will be charged for taking a Licensing & Certification Test please click here. 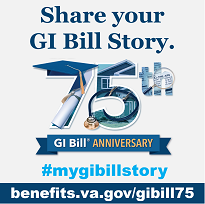 Learn how your GI Bill entitlement will be charged for taking a National Test benefit.